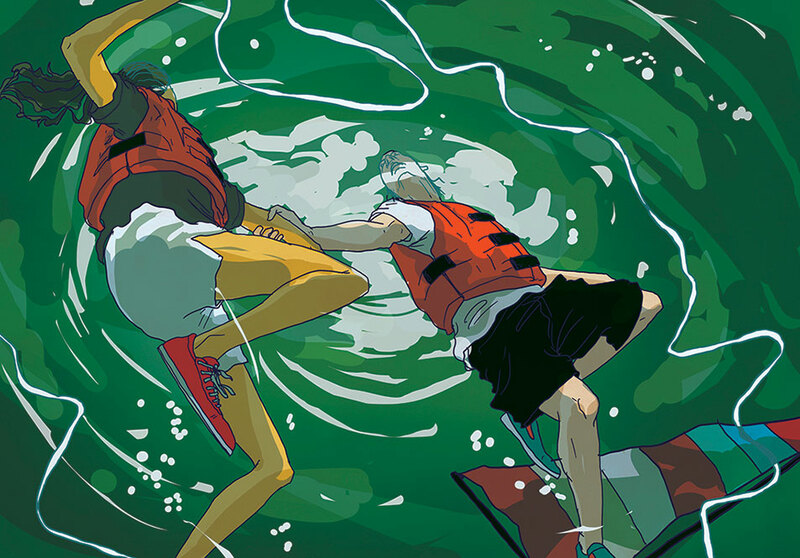 MICHAEL BYERS got to illustrate an amazing story for The Smithsonian Magazine. 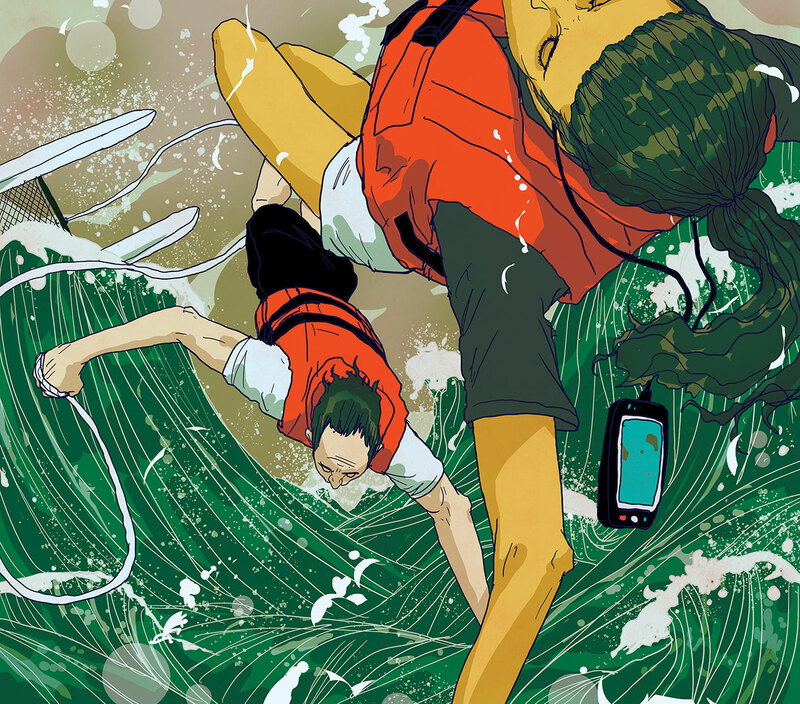 The article is called “Racing The Storm” and is about the storm that hit the Dauphin Island Regatta race in Mobile Bay. “When hurricane-force winds suddenly struck Mobile Bay, they swept more then 100 boats into one of the worst sailing disasters in modern American history.” This was a mass rescue operation on a day that should have been a sailor’s delight.